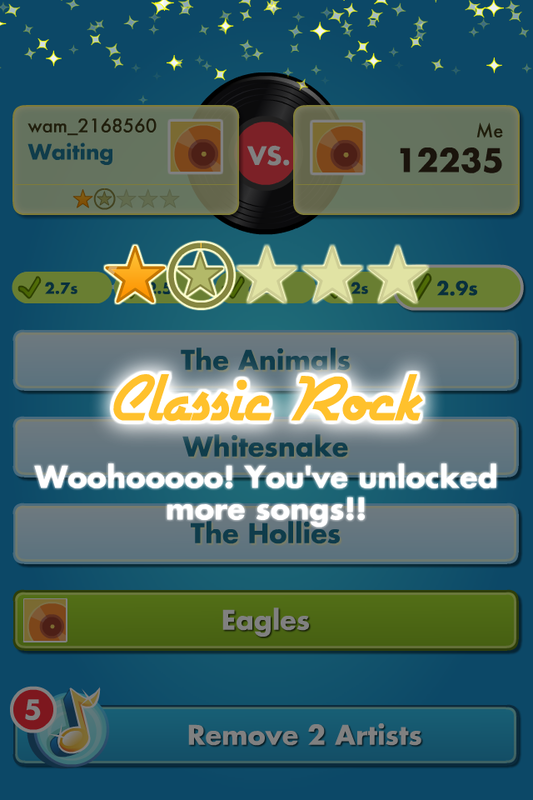 Show Off Your Musical Knowledge with SongPop! SongPop, developed by FreshPlanet Inc., is a game which music fans will fall in love with. With a five star rating in the App Store and over 4,600 positive reviews, SongPop has comfortably secured its position as one of the App Store’s top apps. If you’re the type of music listener who is able to guess a song just by listening to a short clip of the tune, then SongPop is for you. SongPop allows you to show off your fine-tuned talent by allowing you to challenge friends via Facebook. 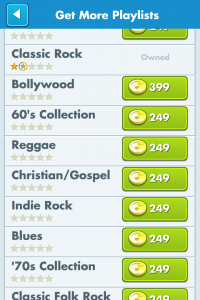 If you’re not a Facebooker, fret not; you can create a SongPop account via your email address. With 35 built-in playlists, there’s something for even the pickiest listener. 6 playlists are immediately available, and if you want to unlock the rest you must use gold coins earned by playing or through purchasing coin packs in-game. SongPop is visually appealing with lots of animations and easy navigation. 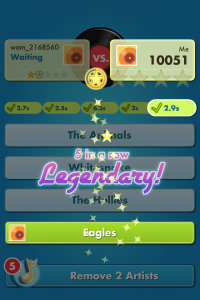 As someone who has never played SongPop before, I was able to catch on fairly easily. One problem I experienced with SongPop was that it kept asking me to re-authenticate with Facebook after every match. Not so much a deal breaker as it is a nuisance. Wait, did that song just bring back a flood of memories from “back in the day”? 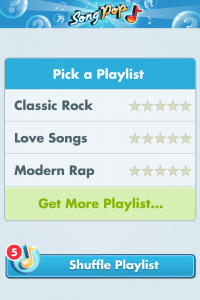 SongPop provides iTunes links for all songs played during a round. 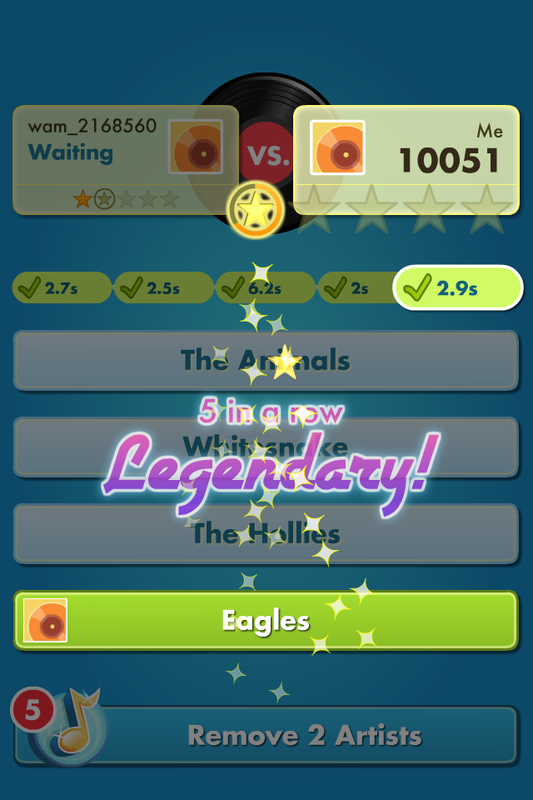 Another cool aspect of SongPop is that as you challenge other players on a certain playlist, you can unlock more music clips. Also, you can earn achievements and share them with Facebook. If you’re not into filling your Facebook timeline with scores and achievements, SongPop provides an option to keep it from posting to your Facebook timeline. 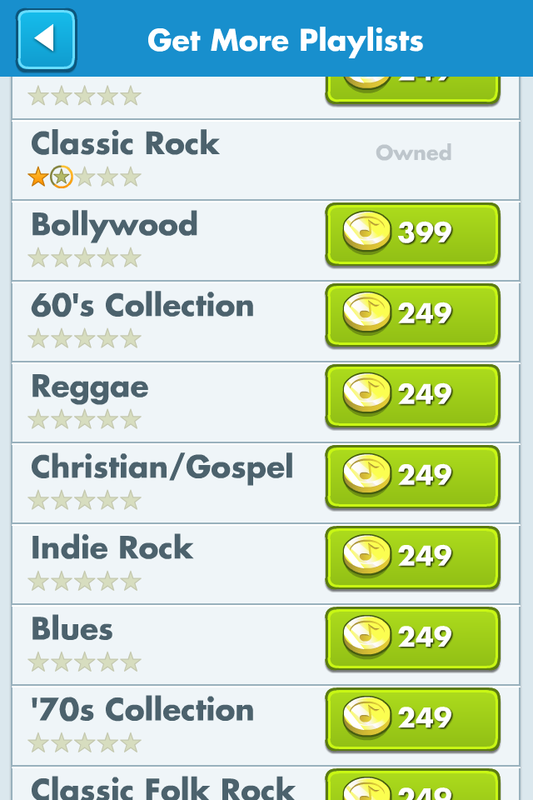 The premium (paid) version of SongPop offers a variety of features which aren’t available to the free version. These features include high-quality audio clips with extended listening time, zero ads, and the ability to play with twice as many other SongPop-ers. 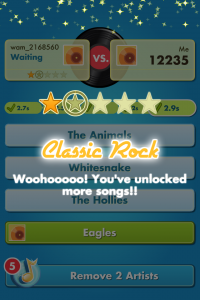 SongPop features push notifications, so you’ll never miss an opportunity to win a challenge. I definitely recommend SongPop for music fans who love to compete with friends and strangers.